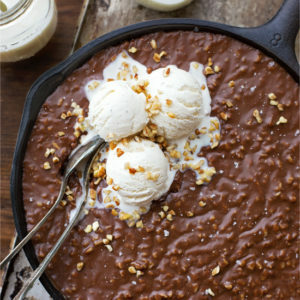 Successfully saved Texas Sheet Cake Skillet to your Calendar. You can also save the ingredients to your Grocery List. Rich, moist chocolate sheet cake topped with chocolate frosting and toasted pecans. Made in a cast iron skillet in just a little over 30 minutes!